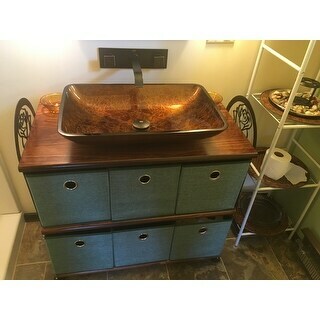 This sink is beautiful! Exactly as promised and was delivered way before expected. When our contractor put it in our bathroom, the install went well and everything worked perfectly! This was just what I had in mind when I ordered it and I am very pleased with the product, customer service, shipping...just everything! Thank you, Overstock, another WIN!! 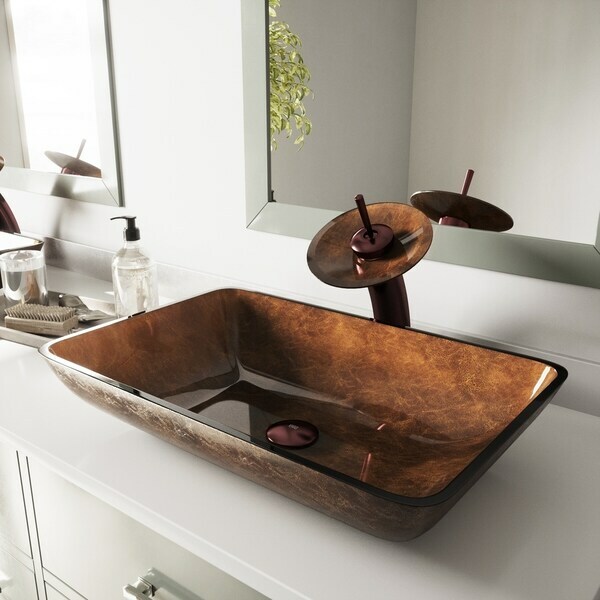 Solid tempered glass construction makes the handmade VIGO 22.5 inches Rectangular Russet Glass Vessel Bathroom Sink ideal for everyday use, while its larger sized rectangular shape makes it a modern statement piece. The polished interior and textured exterior are stain-resistant and easy to clean. Mahogany and amber tones with ever-so-slight hints of red create a pretty sheen with an earthy and inviting effect - the perfect centerpiece for your bathroom. Dimensions 22.5 In. X 14.5 In. X 4.5 In. Wow! I loved this vessel from the moment I saw it! 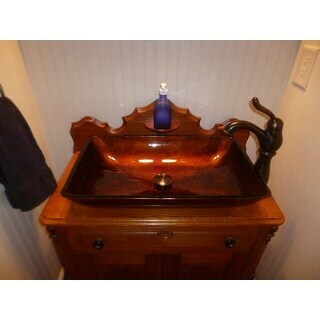 This sink arrived in the size, shape, and color that I anticipated, and it looks great! Could not be more pleased. Entire transaction was quick and as promised. 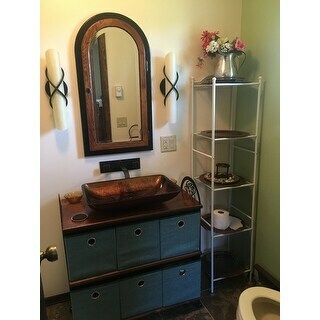 I updated my master bath and used these sinks. They look GREAT and function really good too! Easy to clean also. I'm very happy with the purchase.